Welcome to Day 2 of TLC for your gut! Sign up for the email if you want to receive a happy-gut tip every day for the next three weeks. Immediately improve your gut health, and make it easy to love your belly, so that your belly loves you! Essential oils are potent medicines for the gut—especially for those struggling to fulfill their nutritional intake or lower stress levels. During a particularly stressful time in my life, a friend gave me lemon verbena oil. I had not yet experienced positive experiences with aromatherapy, before—although had enjoyed the varied scents. I poured a few drops into a hot bath, and the sweet lemon scent filled the room. To my surprise, I felt my sadness lift. This uplifting energy lasted the entire evening, inspiring me to try a few drops of lemon verbena on my pillow. I woke up feeling renewed, and ready to get accomplish my goals. I am fascinated by how a few drops of oil could inspire such a change of heart! During a particularly stressful time, my digestion fell apart. I was constantly gassy and bloated. However, the day after my lemon verbena bath, I noticed that my tummy was nearly flat again and calm. The scents around us affect our emotions. Breathing something we love and associate with good memories will immediately help relax your nervous system. On the other hand, our bellies respond to wonderful aromas as well. Aromas can support digestion, lifts spirits and calms nerves. Uplifting scents include all the citrus scents, such as orange, grapefruit, lemon verbena, and tangerine. Digestive enzymes are the number one transformational supplement. These supplements can raise post-meal energy levels, eliminate gas, bloating and acid reflux, as well as flatten your tummy and regulate your bowels. I do not believe that I ever fully digested a meal before enzymes. Digestive enzymes helped changed my life. The key enzyme to digesting protein is hydrochloric acid—HCL—and that is the main ingredient of my ENZYME ENERGY digestive enzymes. Research shows that 60% of adults over 40 are not making HCL in their stomachs. However, from my experience as a digestive health expert, I can say that the teens and young adults I work with are not making digestive enzymes either. Why? Stress, poor diet, and eating on the run. ENZYME ENERGY digestive enzymes were created to make it easy, fast and simple to digest your food again! I never leave home without mine. Understanding food enzymes originated from Dr. Edward Howell, one of America’s pioneers in enzymatic research. In his classic book, Enzyme Nutrition, Dr, Howell explained that man evolved on raw food—even raw meat. The raw foods contributed to 40-60 percent of enzymes to the digestion process. In other words, our digestive system was designed to use only half its own energy for digestion. Yet, these days, most of us eat cooked food. Therefore, we require digestive enzymes like ENZYME ENERGY to energize our digestion. Happy-Gut Reminder: Keep your favorite essential oil on hand, and dab a little on your wrist and feel your mood lift. 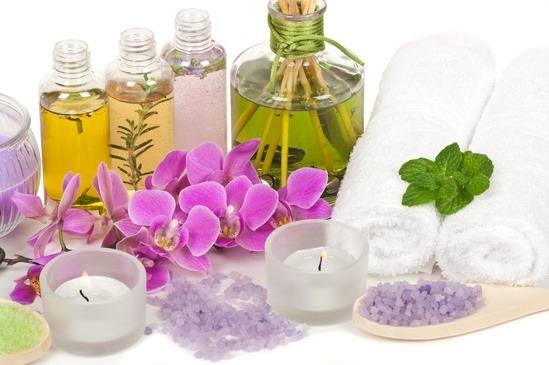 Combine aromatherapy with ENZYME ENERGY for stress and digestion relief.